Home » Get ready for Summer and Family Vacations with TALK! The countdown has officially begun: Summer in the United States is right around the corner and TALK has created special packages for families in south Florida, Atlanta, Boston and San Francisco. 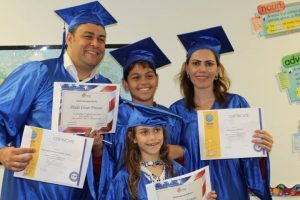 These Family Courses are packed with study and fun for family groups who plan to come to the United States to learn English. The time is for vacation, fun and relaxation. The weather in Florida, which is already friendly year-round, becomes even more pleasant for outdoor activities, such as sunbathing on the beach, walking along the sea shore and biking on the boardwalks. The sights of San Francisco become even more beautiful and the outdoor walks, more enjoyable. Boston’s heat is softened by the Atlantic sea winds. Summer is the time when activities at TALK English Schools are at full throttle! 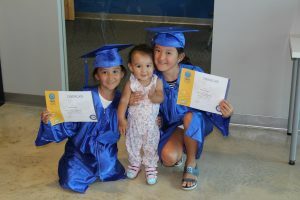 One of our greatest stars is the Family Package, which offers a stimulating learning environment for families learning English while enjoying their summer vacation in the United States. The package is available at our schools in Atlanta, Boston, Fort Lauderdale, Miami Beach, and San Francisco. The package includes tuition and accommodations. TALK’s staff is happy to assist you in arranging exciting family activities in the main tourist attractions of these cities. The course is General English PT, which 16 lessons per week and interactive classroom technology will help you to improve your reading, writing, grammar and vocabulary skills. The schedule is from June 21 and runs through August 10. Children under 12 join TALK Kids English Course with activities, games, toys, story times, singing and dancing, and scavenger hunts. 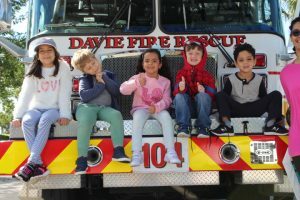 Kids love our “Special Surprise Thursdays” and graduation parties! All children’s courses are provided by TALK Kids, Inc., a TALK English Schools subsidiary. Family Package accommodations are located near the schools and offer comfortable suites equipped with kitchens or minibars, free Wi-Fi and services such as breakfast, restaurants or recreation areas. The extra-class activities are the major attraction of the Family Package, especially during the Summer. Ride your bike on the Golden Gate Bridge in San Francisco. Feed the giraffes and know exotic plant species at the Miami Zoo. Take an Everglades Airboat Tour and experience the wildlife of this eco system in Fort Lauderdale. Visit some of the 700 interactive exhibits at the Museum of Science in Boston. Feel the adrenaline rush of the roller coasters at Six Flags in Atlanta. There is no such thing as “too young to learn English”!